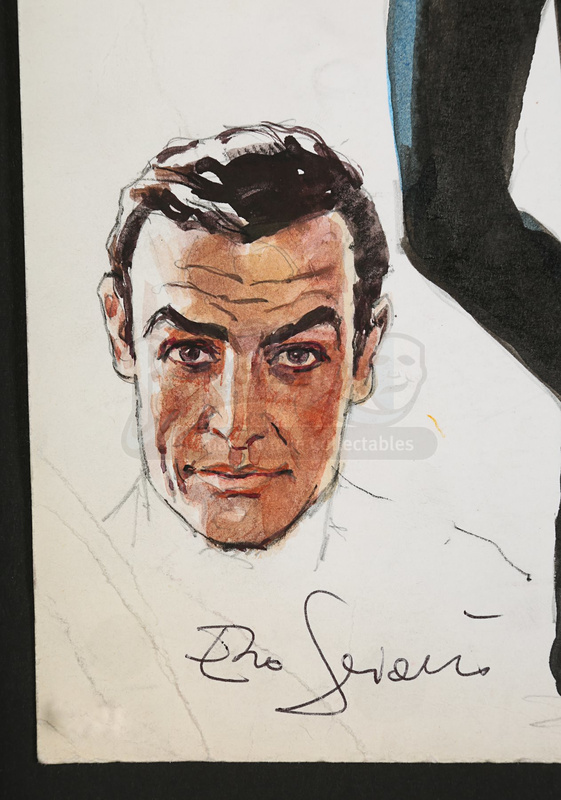 A hand-painted poster artwork from Terence Young’s spy film Dr. No. 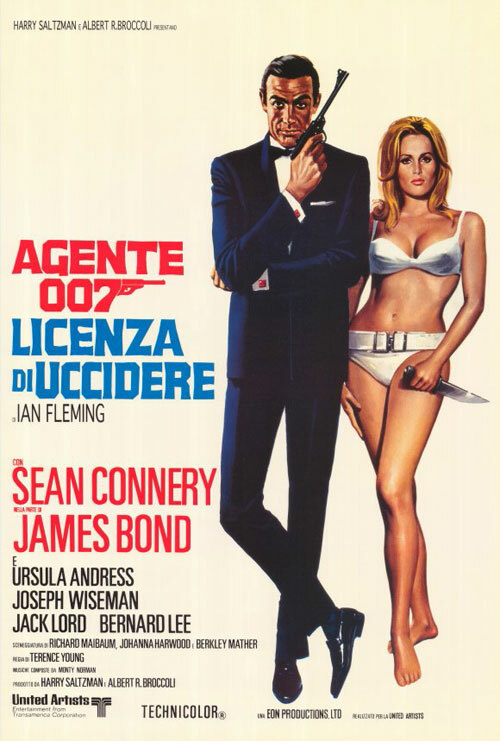 Designed and executed by Italian artist Enzo Sciotti, the painting features a full-body view of James Bond (Sean Connery) standing in his iconic pose with his gun alongside a scantily clad Honey Ryder (Ursula Andress) and two naked women. 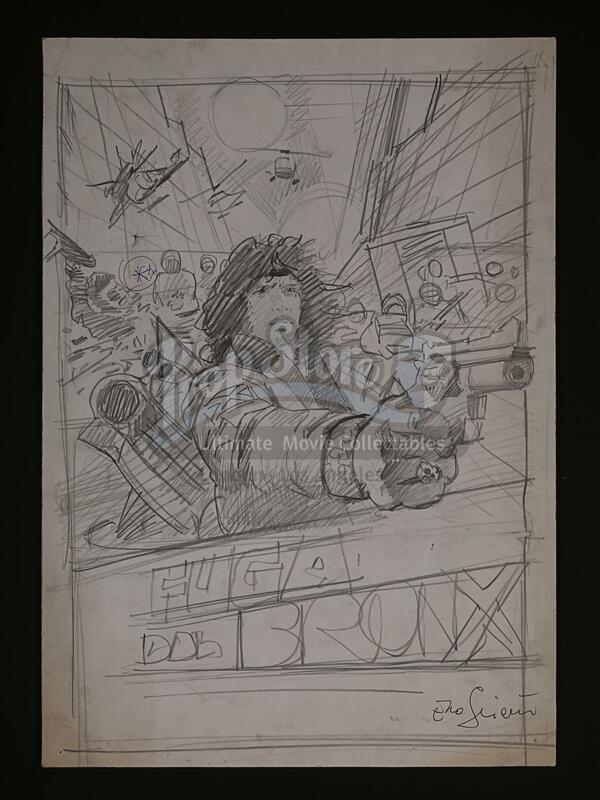 Surrounding them are headshots of Bond and Ryder in various stages of completion. Please note this lot is sold without copyright, reproduction rights, licensing agreements or any other type of legal releases.